Karen I thought of you when I ran across these since you are trying to put together a kids birthday party, I found these genius ideas and pictures at Real Simple. 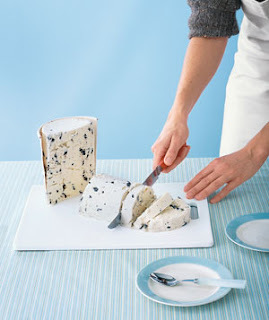 Cut the ice cream easily with a knife, if it's really frozen dip the knife into hot water to make cutting easier. 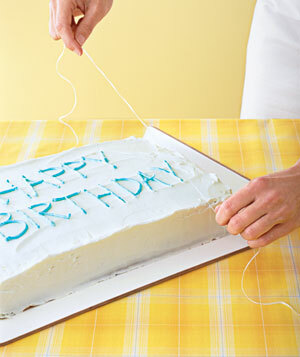 Cut the cake easily with a piece of unflavored waxed floss, I can think of a few birthday's we've been to that were not at the persons home and they forgot to bring a knife, just ask somebody if they have floss in their purse. Scoop out the ice cream ahead of time, put the tray in the freezer and then when you are ready to serve just take it out. 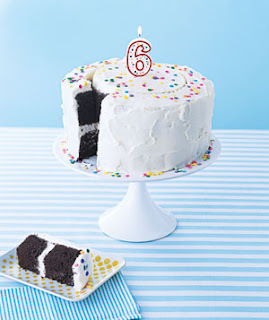 Easily cut a round cake, use a long sharp knife to cut a smaller circle inside the larger one, then you can serve the outside pieces with the frosting to the kids and the inside pieces to the adults because they usually want a small piece without a lot of frosting. Thanks to Real Simple for these awesome ideas and pictures!!! These are awesome ideas! 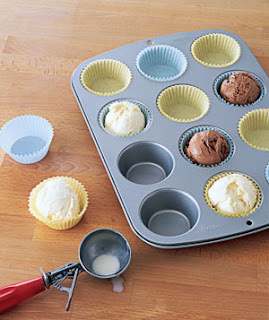 I think I'll do the ice cream scoops in the cupcake holders for my son's Birthday in 2 weeks. I can't be the only one, right??? I tested this, It doesn't work! This is a Smorgastarta! Doesn't it look heavenly? Crockpot Chicken Cacciatore $1.48 per serving!! Lint Lizard...Has anybody tried this? Pancakes for breakfast tomorrow? Try this tip.